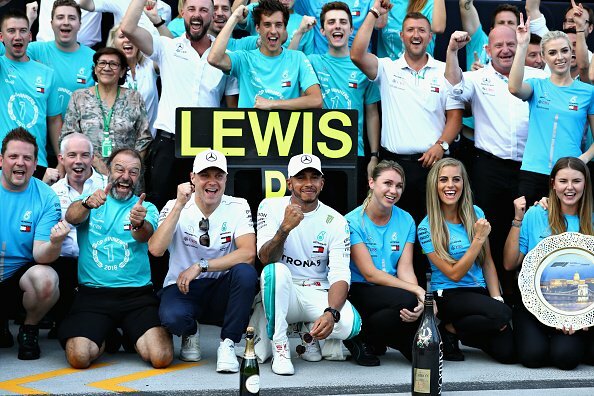 Being partnered to a four-time Formula One world champion Lewis Hamilton and belonging to the top team in the sport today puts a lot of pressure to Mercedes driver Valtteri Bottas. The Finn has not won a race since the start of the 2018 F1 season. His last victory came in Abu Dhabi last year. The highlights of his career this year so far are his six podium finishes. The statistics of Bottas definitely pales in comparison with Hamilton’s seven wins this season. It was also nothing compared to his performance in 2017, which gained him three wins, 10 podiums finishes, and four pole positions. Bottas admitted in his interview with Autosport that it is hard to beat Hamilton in the race, and he is not gunning for the championship anymore. He said that he only wants “whatever is possible in the championship” now. The Mercedes driver revealed that he is aiming to at least land in the third place when the 2018 season ends. He pointed out that he still keeps himself motivated though despite the lack of good results in his present races. Right now, Bottas is in the fourth place of the F1 driver standings with 171 points. He is only 3 points behind Ferrari’s Kimi Raikkonen but that’s a far cry from Hamilton’s 281 points. The threat posed by Vettel even made Mercedes F1 boss Toto Wolff consider relegating Bottas to a support position to Hamilton, which the Finn welcomed. However, Bottas earlier took offense to the “wingman” reference made by his boss directed to him. To his credit, the animosity between Hamilton and Rosberg is not that evident between Bottas and Hamilton. Kudos also for Bottas’ willingness to be a team player during those times when Mercedes was falling behind Ferrari. With the 40-point lead of Hamilton over Vettel and 37-point advantage of Mercedes versus Ferrari, Bottas hopes that his team will no longer implement team orders.